Kenya has urged the United Nations to finance the continental counter-terrorism mission in Somalia, arguing that this will stop the country from falling back to Al-Shabaab control. Foreign Affairs Chief Administrative Secretary Ababu Namwamba said there is need to plug funding gaps and boost counter-terrorism efforts. “The promotion and maintenance of peace and security in the world is the primary mandate of the United Nations,” Mr Namwamba told a gathering of diplomats from the African Union and the European Union in Brussels on Tuesday. “Unfortunately, the African Union Mission in Somalia (Amisom) continues to suffer insufficient and unpredictable funding,” he said. Kenya, Ethiopia, Uganda, Djibouti and Burundi have jointly contributed troops to the 22,000-strong force, initially meant to last only six months in 2007, but which is still engaged in a dogged fight with the terrorist group. Mr Namwamba, who represented Cabinet Secretary Monica Juma, spoke as Foreign Affairs ministers met in Brussels to buttress AU-EU relations just a week after the DusitD2 attack in Nairobi in which 21 people were killed. 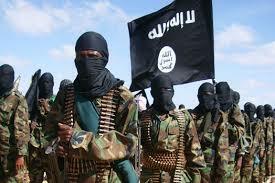 Al-Shabaab took responsibility for the attack. Although he begged more partners to come on board, he criticised UN’s lukewarm support for the Amisom. With 3,664 soldiers in Amisom, Kenya has previously called for more predictable funding for Amisom. But the UN Security Council, the global body’s decision-making organ, declined AU’s request to have Amisom benefit from UN funding through assessed contributions. One of the reasons advanced by the Council’s members is that Amisom is a counter-terrorism force while the tradition at the UN is to fund peacekeeping missions. If the UN agrees to fund the soldiers, there are fears a precedent will have been set to mix up combat and non-combat troops. The UN funds Amisom only by recompensing its equipment and other logistical expenditure. Yet Nairobi and peers have complained in the past that the money is usually delayed.